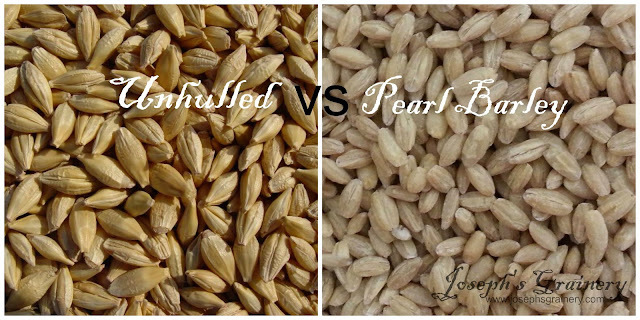 Joseph's Grainery: What is Unhulled Barley vs Pearl Barley? What is Unhulled Barley vs Pearl Barley? We are frequently asked, "What's the difference between Unhulled Barley and Pearl Barley?" It can be quite confusing, as there are many different terms, names and types of processing that can be applied to barley. 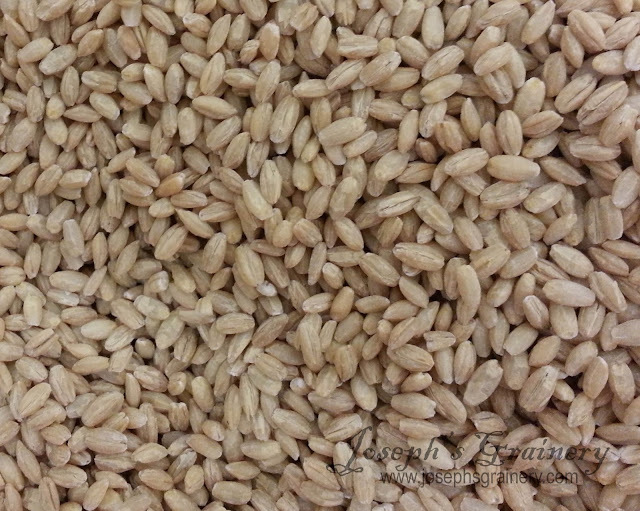 Here on Joseph's Grainery, you'll only find one type of Barley - unhulled. Unhulled Barley is the purest, from-the-field barley that is edible. It still has the whole hull in tact. The only processing it has been through is cleaning (click here to see a video on how we clean grain), to sift out the impurities (dirt, chaff, etc). Unhulled Barley is truly a whole grain. 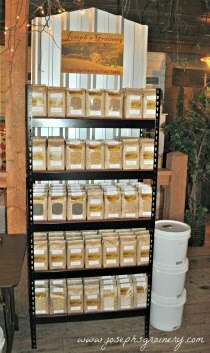 Joseph's Grainery Unhulled Barley is edible, it just needs to be soaked for 24 hours prior to cooking. There are many uses for Unhulled Barley. If you're looking to sprout barley, this is the barley you will need. Other forms of barley will NOT sprout (i.e. hulled, pearl, etc). We have many happy customers who've malted and brewed with Joseph's Grainery Unhulled Barley. We have others who use the Unhulled Barley for a myriad of health benefits. Pearl Barley is pearled (aka polished) to remove the hull and the outer bran layer. Most of the barley you'll find in your local supermarket is probably pearl barley. It cooks up without having to soak it prior to cooking. Pearl barley is NOT a whole grain. Many people prefer pearl barley over unhulled barley because of the quicker cooking time and lack of need for soaking prior to cooking. We're a little different, we prefer a true whole grain. We'd rather soak the unhulled barley before cooking and cook for a bit longer. Why? We'd rather get all the fiber and other nutrients that are in the hull and outer bran layer.